A humanitarian catastrophe is underway in Mozambique, Malawi and Zimbabwe. 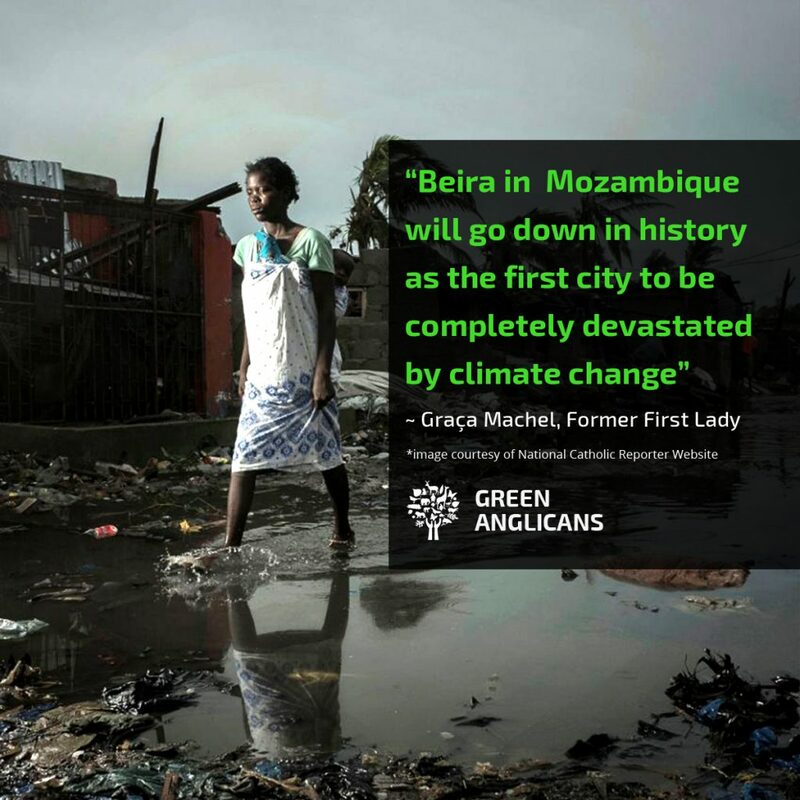 The reports are terrifying – 90 percent of Beira , a city of half a million people, has been destroyed by floods. Aid workers found people clinging to trees and rooftops – some had been awaiting aid for up to a week. Nearly 3 million people have been affected across the region which is one of the poorest in the world. Cyclone Idai is not a natural disaster; the storm has been made worse by climate change and deforestation. How is this crisis related to climate change? Firstly warmer air holds more water vapour, which increases the intensity of rainfall. Cyclone Idai produced nearly a years worth of rain in just a few days. Thirdly the ocean has risen 20 centimeters in the last century, leaving Beira now below sea level. Added to this the huge levels of commercial deforestation, allowing floods to rush through denuded soils. Cyclone Idai is a humanitarian crisis that once again lays bare the fundamental injustice of climate change. Mozambique is one of the world’s poorest countries, 180th out of 189 on the UNs index. They have done the least to create the problem of climate change. Wealthy countries must take the blame for the unimaginable suffering we are causing. The latest news to hit us is that there is an outbreak of cholera. And so we are committed to getting water purification tablets to our brothers and sisters in Mozambique. Please help us to save lives. Water is life.